Ryan Reynolds is Deadpool. There is no disputing that, ‘Superhero’ over the years have become synonymous with certain actors, Christopher Reeve with Superman, Michael Keaton with Batman, Hugh Jackman as Wolverine, Reynolds plays Deadpool with such wisecracking glee that you can’t imagine another actor playing the role. 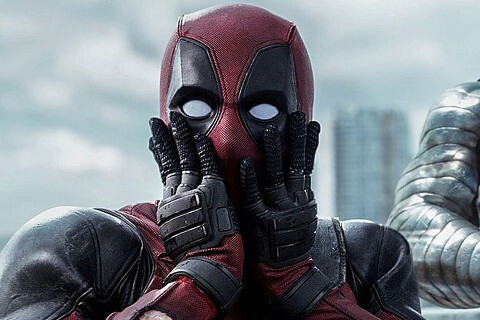 For those that don’t know ‘Deadpool’ is a marvel comic’s character that was a Special Forces soldier, he gets diagnosed with terminal cancer, in desperation he agrees to an experimental cure which turns into torture, it awakens the mutant in him, cures his cancer but leaves him severely disfigured, this all happened in the original Deadpool. 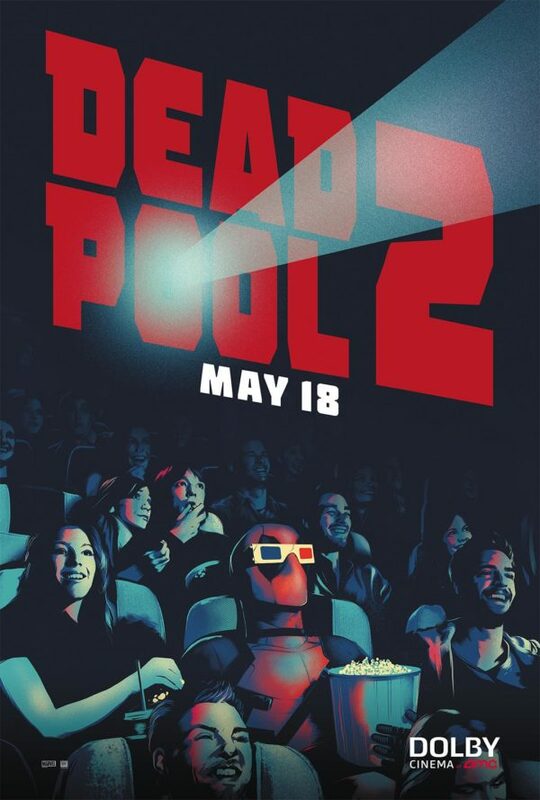 To be honest I’m not much into the Wolverines, X-Men, Ironmans, Infinity Wars etc but ‘Deadpool’ is something different, you could come into Deadpool 2 and the original movie cold, not knowing any backstory, you would miss certain jokes but it wouldn’t matter, it is just so stand alone funny. That’s what Deadpool 2 is, a series of one-liners and hilarious scenes wrapped around a loose good vs evil storyline. The ‘evil’ is Russell (Julian Dennison), the kiwi kid from ‘The Hunt for the Wilderpeople’ who Deadpool calls ‘robust’, Russell has mutant powers and is teetering on whether to use it for good or evil, and Deadpool wants ‘something to love’ so begrudgingly at first tries to help him, with the inevitable hilarious consequences. 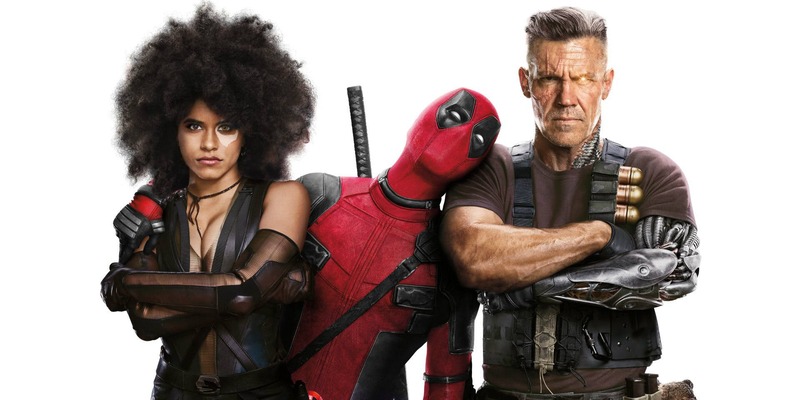 To call Deadpool a ‘Superhero’ in the literal sense of the word is not exactly true, he catches a cab to his battles whilst his taxi driver ‘Dopinda’ (Karan Soni) fantasizes about killing a love rival, he has an ex prostitute for a girlfriend ‘Vanessa’ (Morena Baccarat), they compete with each to see who can talk the dirtiest, he hangs out at a sleazy biker bar that his friend ‘Weasel’ (TJ Miller) owns and also has a blind trigger happy ‘Grandmother’ (Leslie Uggams) who he makes fun of. This isn’t your Superman rescuing Lois Lane from Lex Luther. There are two scenes you absolutely have to look out for, the skydiving scene when his rag tag bunch of ‘X Force’ recruits jump out of the plane and when he is at his ‘Grandmothers’ house trying to grow his legs back and ‘Cable’ (Josh Brolin) the time travelling Terminator like villain walks in, both those scenes are laugh out loud hilarious, the whole theatre was roaring. If you want plenty of laughs and enjoy a good comedy, this is for you, don’t think of it as a ‘comic book’ movie if you’re not into that, just go for the laughs, and don’t leave when the credits start rolling. Thanks for the review Hally. I concur it was laugh out loud funny! Yeh man, the ‘baby legs’ scene on the couch had my eyes watering.